TThe International Astronomical Union IAU (Union astronomique internationale (UAI), in French) is a collection of professional astronomers, at the Ph.D. level and beyond, active in professional research and education in astronomy. It acts as the internationally recognized authority for assigning designations to celestial bodies (stars, planets, asteroids, etc.) and any surface features on them, and is a member of the International Council for Science (ICSU). The main aim of the IAU is to promote and safeguard the science of astronomy in all its aspects through international cooperation. 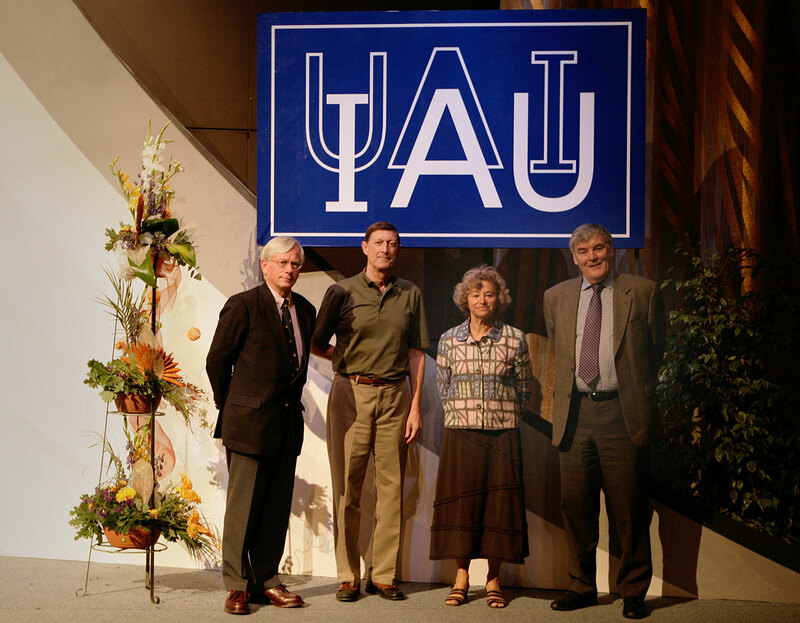 The IAU maintains friendly relations with organizations that include amateur astronomers in their membership. The IAU has its head office in Paris. IAU was founded in 1919. Its flag is blue with white letters of IAU acronyms (both English and French).